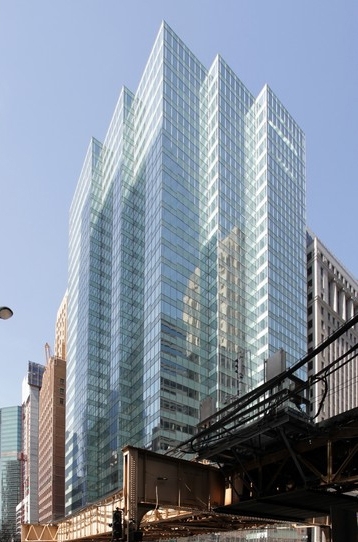 Omni Group purchased the 30-story tower at 200 N. LaSalle St. for $101 million. The tower totals 645,170 square feet and includes tenants such as law firm Schiller DuCanto & Fleck LLP. Starbucks signed its first lease with the Chicago Transit Authority to place a store within an “L” station. The North/Clybourn Red Line stop will have that distinction. The CTA, which has about 89 leased spaces for the line, assigned Jones Lang LaSalle last year to find national tenants to lease retail space at rapid transit stations. Tribeca Flashpoint Media Arts Academy will expand its space by 76 percent in the Burnham Center at 111 W. Washington St. The film and video gaming school anticipates its enrollment to double, and will add 65,000 square feet to its space. The former Apparel Center at 350 N. Orleans St. The former Apparel Center at 350 N. Orleans St. will transition to an office building. Tenants with apparel showrooms will leave the building by May 31, and most tenants will move across the street to the Merchandise Mart. A report by Cassidy Turley on the first quarter of 2012 found that the office sector is constantly improving. 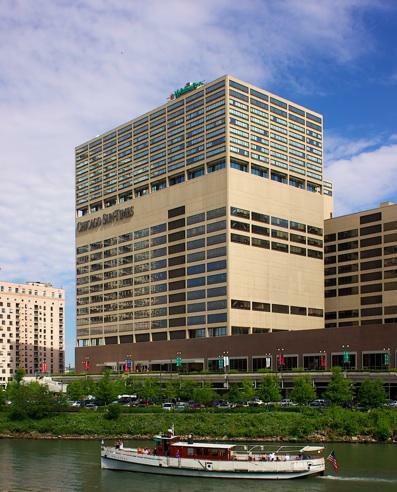 Although the improvement is far from robust, U.S. office vacancy rates fell to 15.9 percent. What headlines caught your attention this week? Leave us a comment and let us know. The voice of Chicago's office building industry since 1902. This entry was posted in Chicago News and Events, CRE Trends and tagged 200 N. LaSalle St., Cassidy Turley found that the office sector is constantly improving, former Apparel Center at 350 N. Orleans St will transition to an office building, Jones Lang LaSalle, law firm Schiller DuCanto & Fleck LLP, Merchandise Mart, North/Clybourn Red Line station, Omni Group purchased the 30-story tower at 200 N. LaSalle St. for $101 million, Starbucks signed its first lease with the Chicago Transit Authority to place a store within a “L” station, The Elevator Speech, The film and video gaming school, Tribeca Flashpoint Media Arts Academy will expand its space by 76 percent in the Burnham Center, Younan Properties Inc.. Bookmark the permalink.